The following resources are part of the California School Garden Training Program's GENE Workshop. Search our event calendar for upcoming school garden workshops. 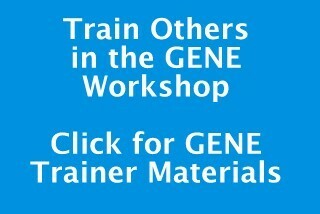 Download all GENE Workshop Resources in one zipped folder at our GENE Trainer Page.